is a non-graphical command line O.S. Windows operating system is the most commonly used operating system nowadays. support most of the software. interface operating system. It was developed by Apple company in 1984 for Apple’s PCs. Mac. 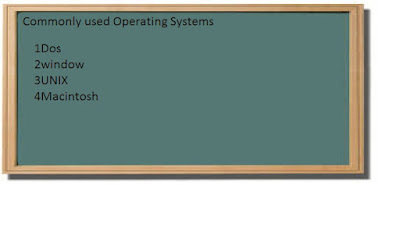 O.S is also a user-friendly O.S and used nowadays in PCs. have a graphical user interface which provides an easy to use environment for new users.